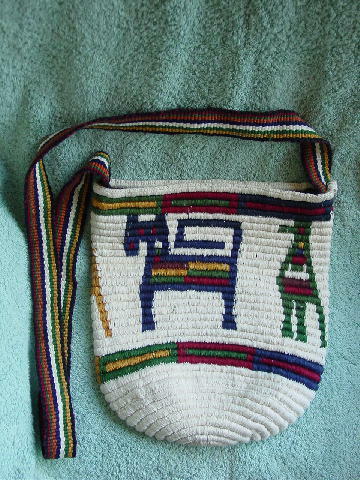 This foreign-made fabric cord purse has a 47" long by 1 1/4" wide fabric shoulder strap which is in dark blue, honey, dark and medium green, white, burnt orange, and red. 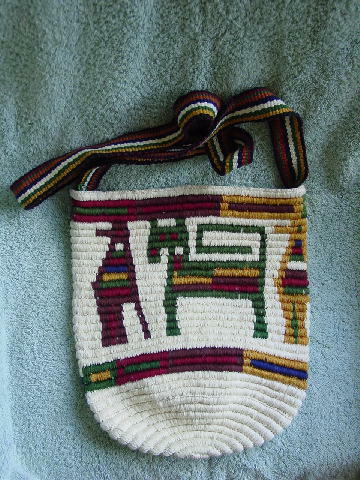 The majority of the purse is in a cream color with a design pattern in honey, brown, red, dark green, and dark blue. The top has a 10 1/2" wide opening.